For us in the UK Remembrance Sunday is looming large and yesterday William and Kate were speeding around town on a secret mission to wish all the Poppy sellers well. 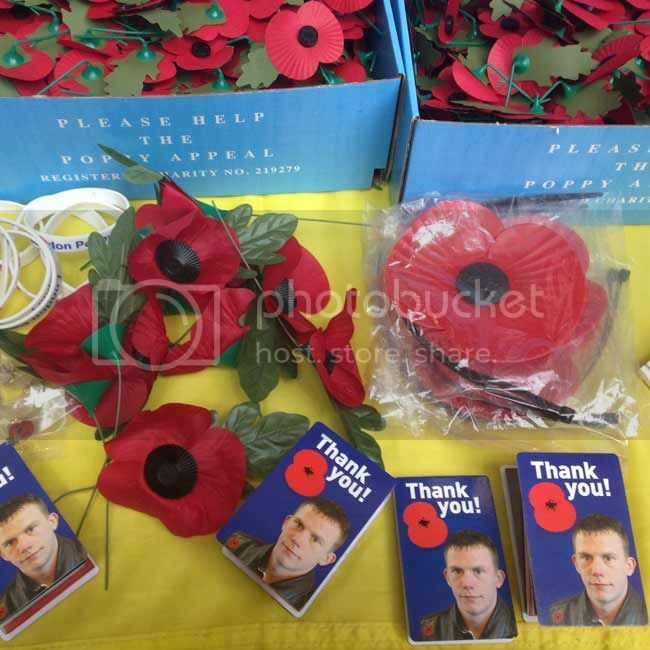 The Poppy has become a bit controversial in recent years. 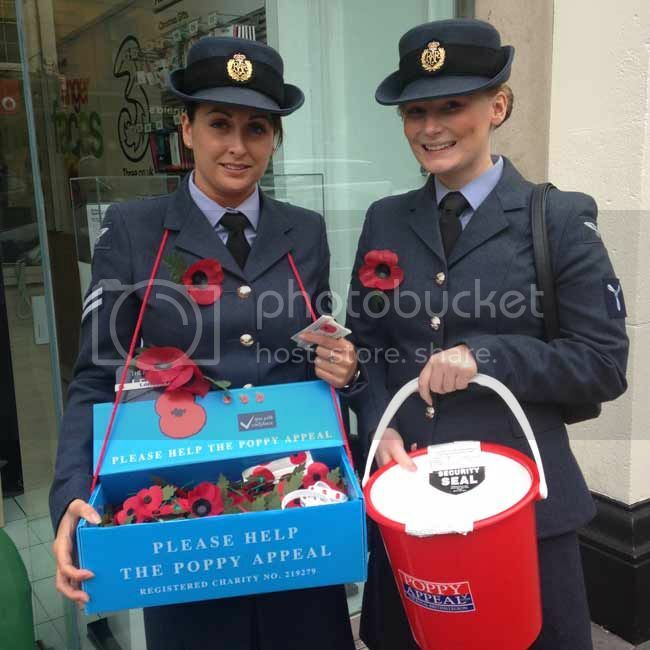 Many wanting to rebel against the established order or “Queen and Country”, but the money is raised for the British Legion goes to help those wounded in battle and their families and with more women entering the armed forces than ever before, shouldn’t we rethink wearing poppies? Of course one should not reduce the fundraising for the British Legion to a question of style, but ever since a child I was always enchanted by the symbolism of the poppy and attracted by its red colour and as my father had been an officer in the Royal Engineers there was no question about not wearing the poppies, we all did. As a teenager I began to question in and to people’s horror wore a white poppy. I felt it was a statement for peace, my dad had instilled in me the idea (in his words), “there are no war crimes, war is the crime”. Having served in Afghanistan before 9/11 he was horrified when we watched the news announcing the bombing by the Americans. I later learned my Grandfather was an Royal Medical Officer. with the Manchesters who were right in the middle of the blood bath of Ypres and Passchendaele where he was injured. So suddenly the meaning of the poppy and I’ve never failed to buy one. 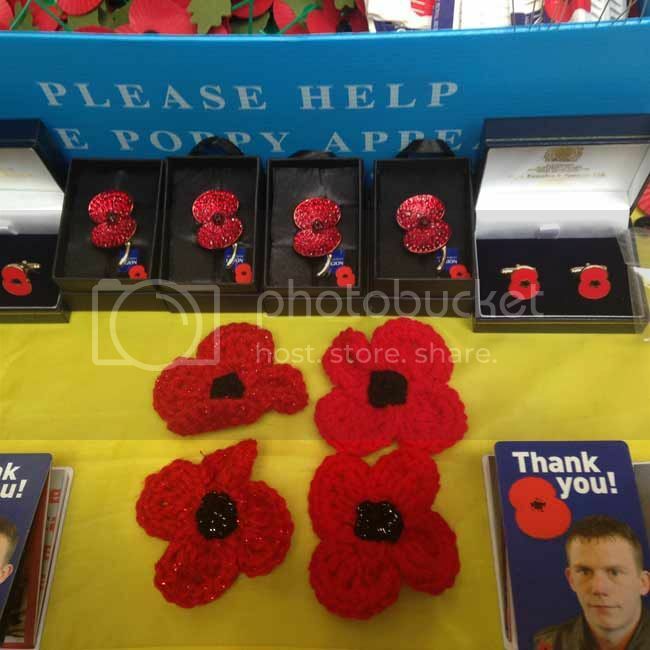 There's a poppy for everyone now, from the traditional paper one to crocheted and some seriously bling brooches. I opted for the silk one as I always lose the paper ones...I end up buying several, so this year I paid a chunk and secured it well. The recent conflicts have seen more women than ever serving and finally being allowed to serve on the frontline and this year I there seemed to be more female members of the forces selling poppies than ever before. So what has fashion got to do with war? Well our buying habits will help rebuild countries that have been torn apart by war. Afghanistan is now the focus of foreign investment groups, de-haired cashmere as an investment commodity is a big focus. Online market places such as Far and Wide Collective I featured earlier this week and designers such as Zolaykha Sherzad who set up Zarif Design are path beaters and other designers and textile companies will be drawn to source from these post war states. Central Asia is growing as a fashion consumer. Kazakhstan holds one of the biggest fashion sourcing fairs in the world and its wealthy citizens are serious consumers of luxury fashion and goods. 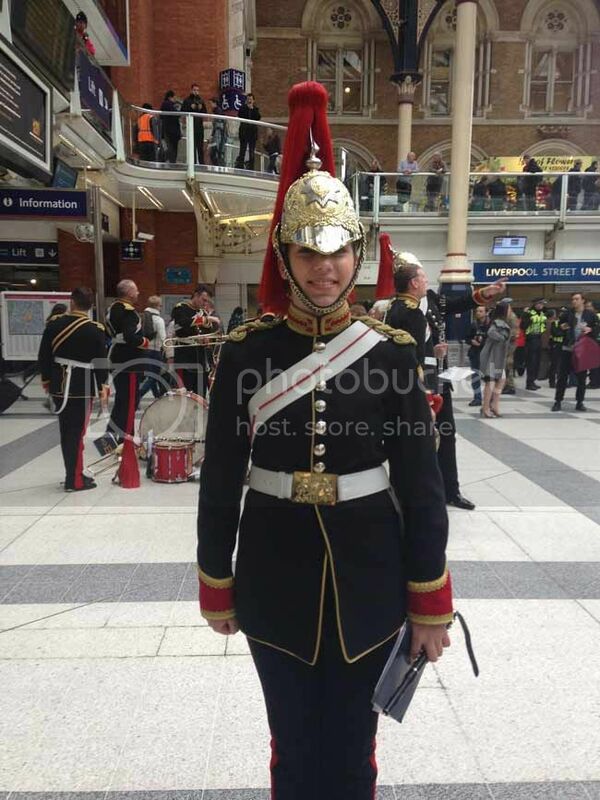 Rachel serving in the Blues and Royals at Liverpool St. Station, she's not with the band, she's in the band! But when the guns stop firing and the last land mine is cleared, the men and women who came home disabled and injured will still need caring for and that costs money so I urge you today and tomorrow please spend a £1 or more and wear a poppy for the women as well as the men, and then spend another pound on another charity such as the Halo Trust which campaigns for land mine clearing and against land mine use or War Childto name but two charities, because no war has one side. I wish all of you who have lost someone in war, or have been injured or care for an injured soldier or victim of war peace and comfort. Why should you wear a poppy for Remembrance Sunday and what does fashion have to do with war and why should any of this be a woman's interest?